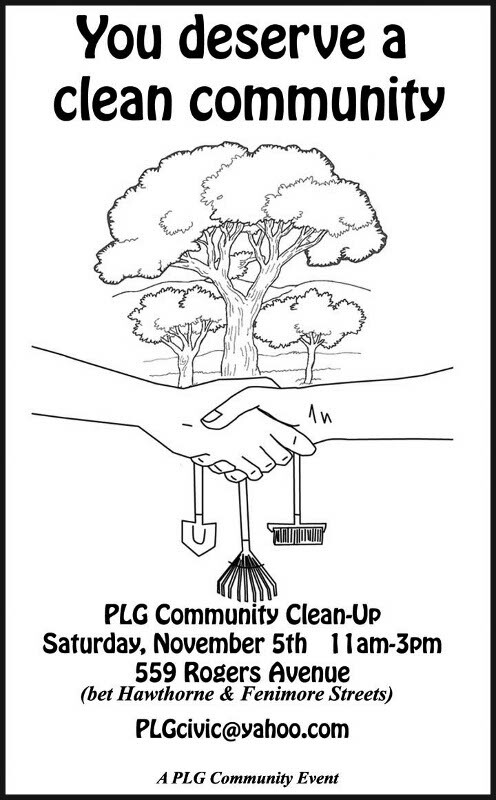 This year’s Prospect Lefferts Gardens Community Clean-Up will take place this Saturday, November 5, 2011. To participate come to 559 Rogers Avenue (between Hawthorne and Fenimore Streets) at 11am. 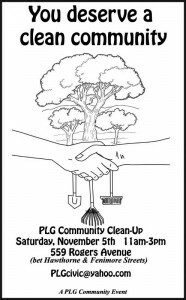 More information is available via email PLGcivic@yahoo.com.